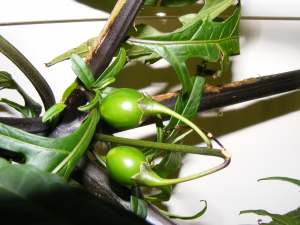 Observation - Solanum laciniatum - UK and Ireland. Description: Handed in to me by a householder who had it growing in garden. Probably birdsown. Handed in to me by a householder who had it growing in garden. Probably birdsown.